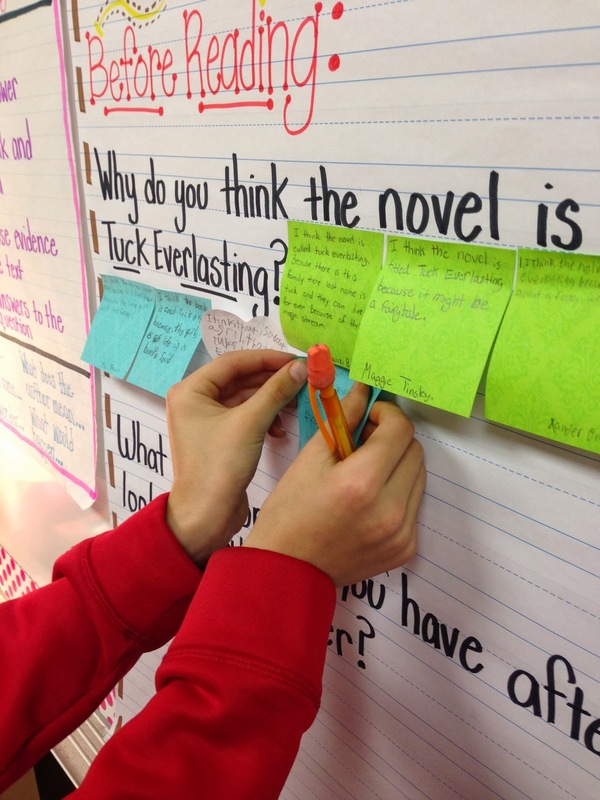 We also started our second novel study yesterday. 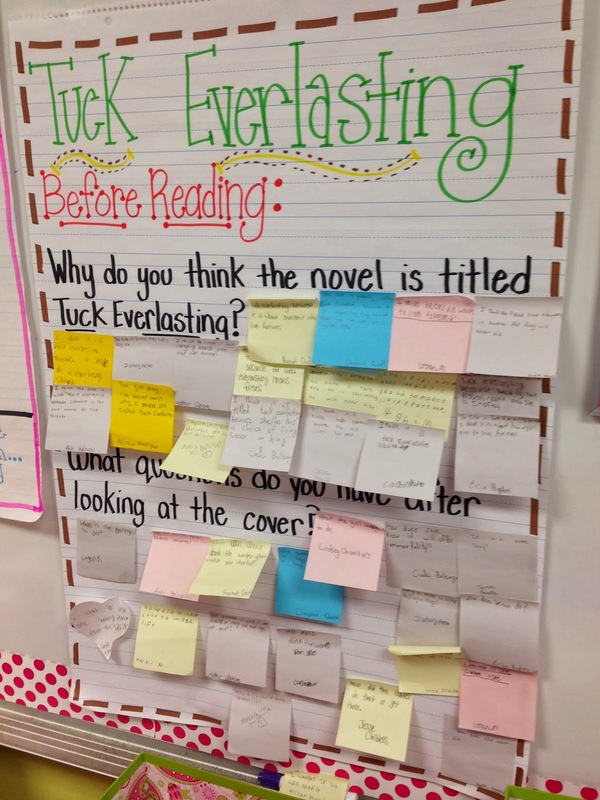 I love Tuck Everlasting and I can't wait for my kids to read it. 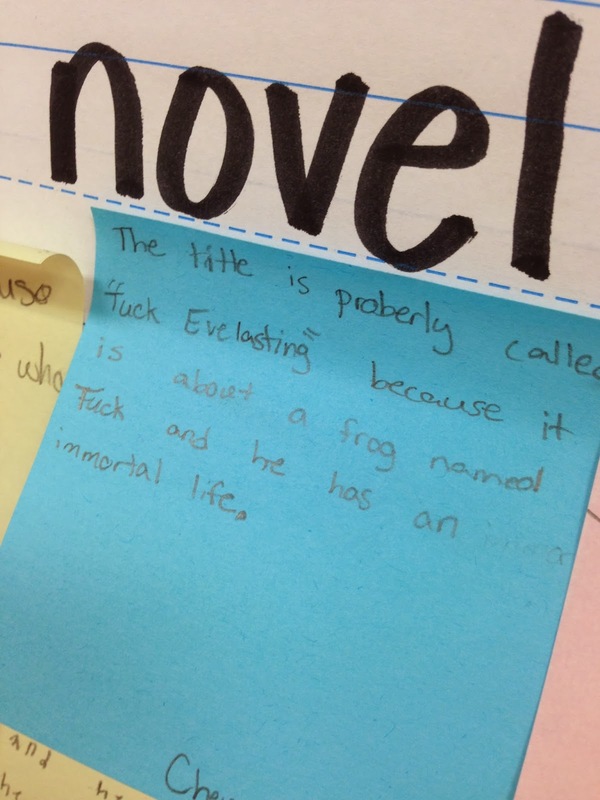 We only got through the prologue and the first chapter but I want to take it slow so we can really understand it. 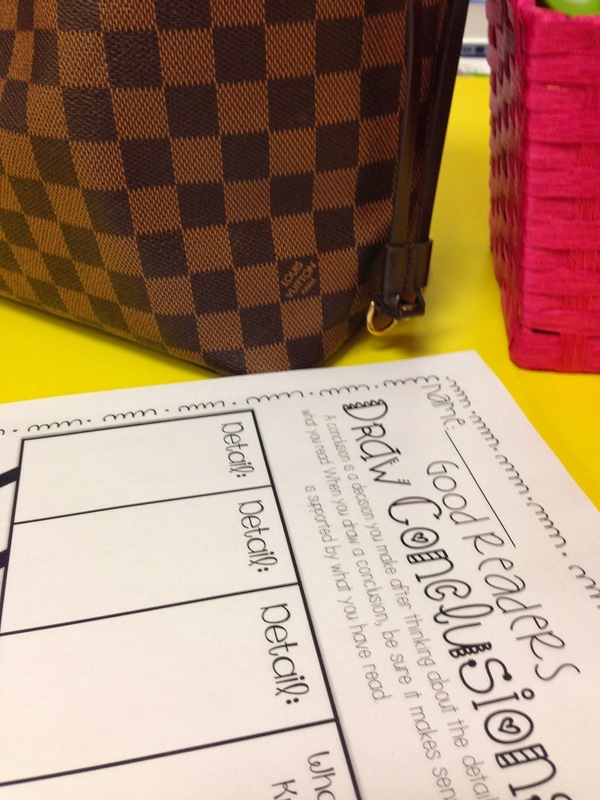 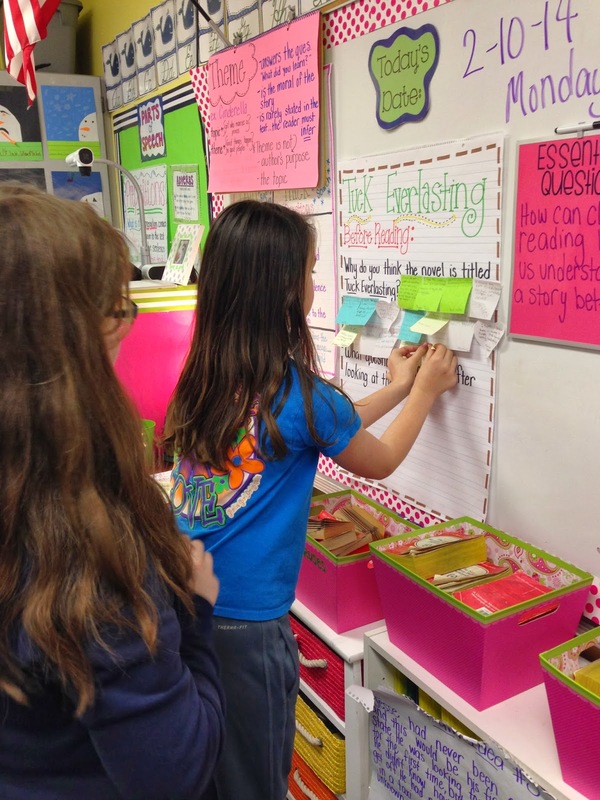 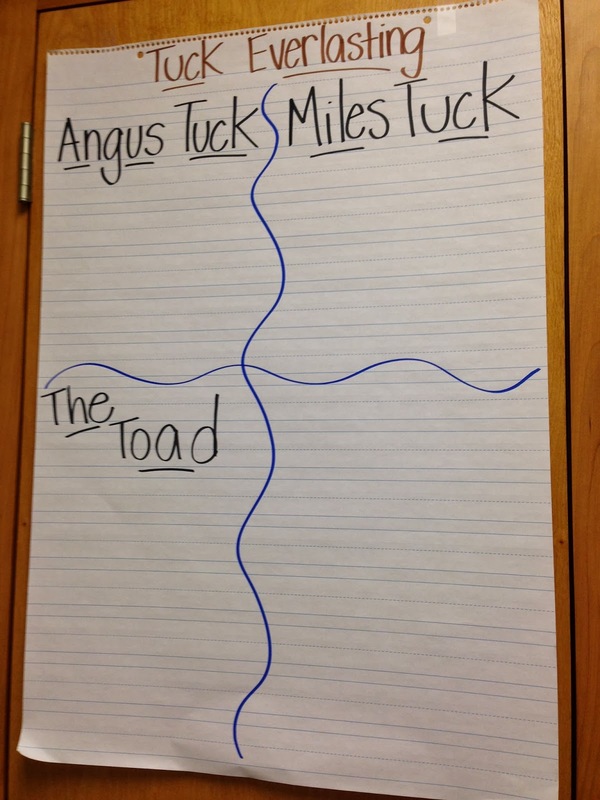 Here's some of the activities/charts that you can use at the beginning of this novel study. 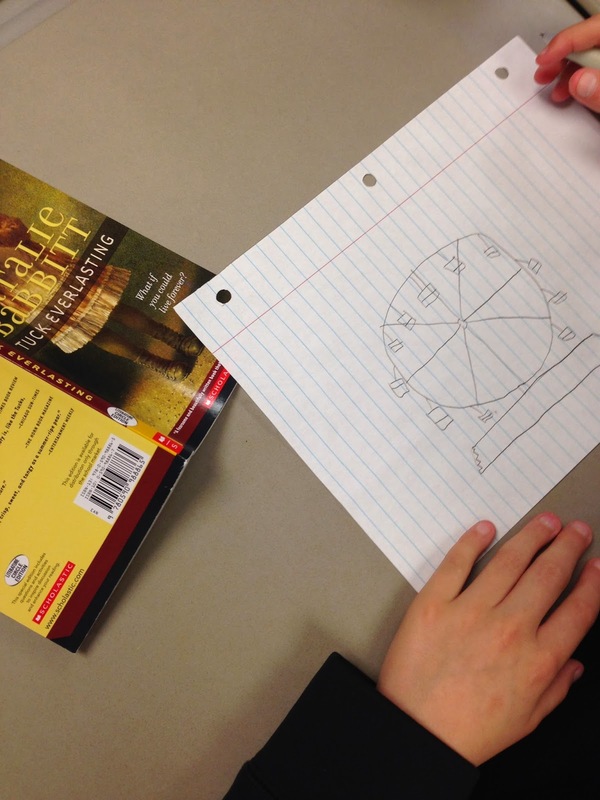 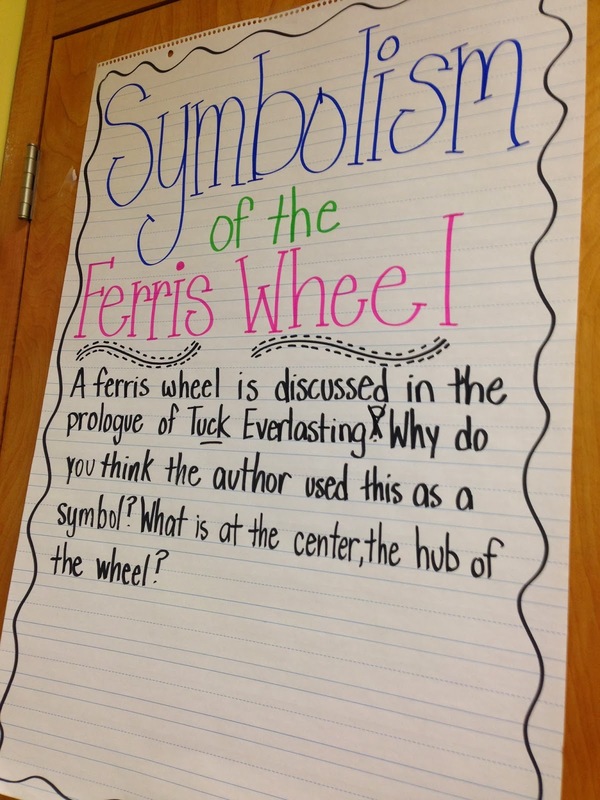 After reading the prologue, we quick drew a ferris wheel to better understand the symbolism and how Treegap Woods was compared to the hub of the wheel. 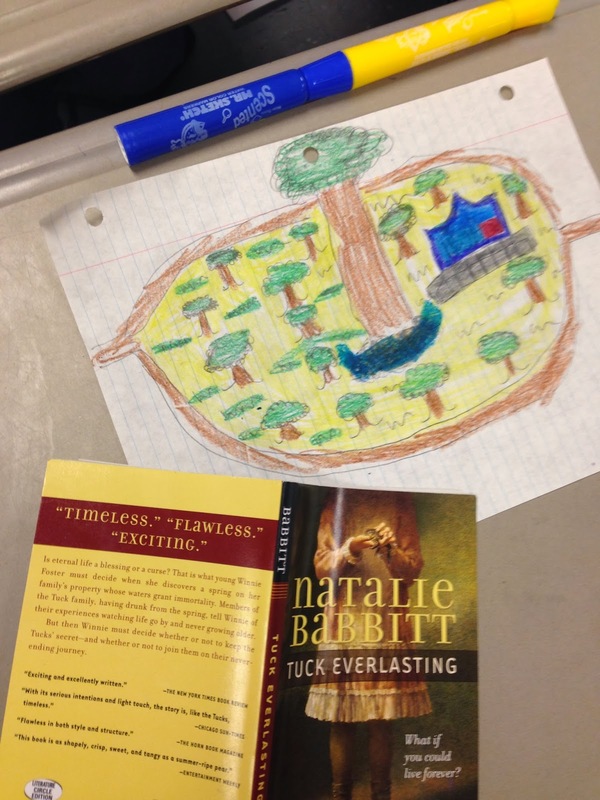 After reading all the description of Chapter 1 we drew a detailed picture of the setting using all the details that Chapter 1 provided. 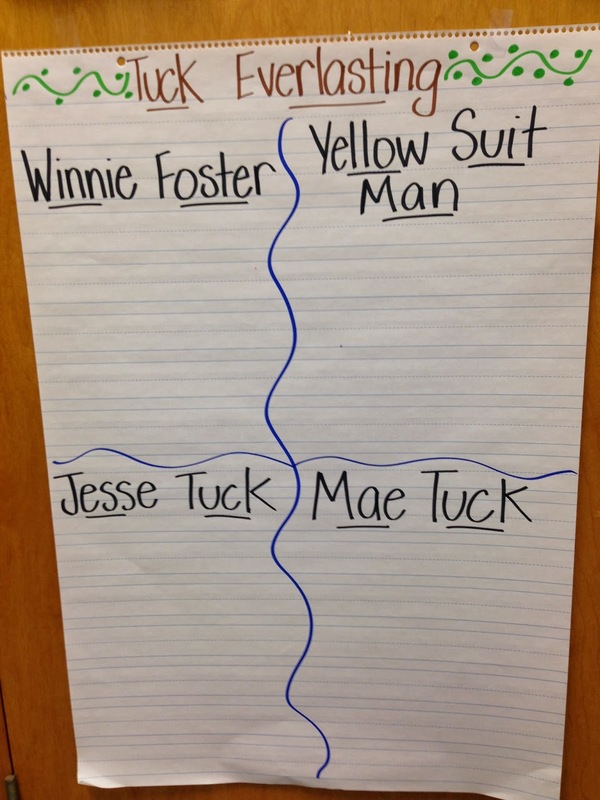 After reading how Young Teacher Love used these charts with The Westing Game, so I created the same charts for Tuck Everlasting.